Gated beach-side community! Hear the ocean from your private screened-in patio. 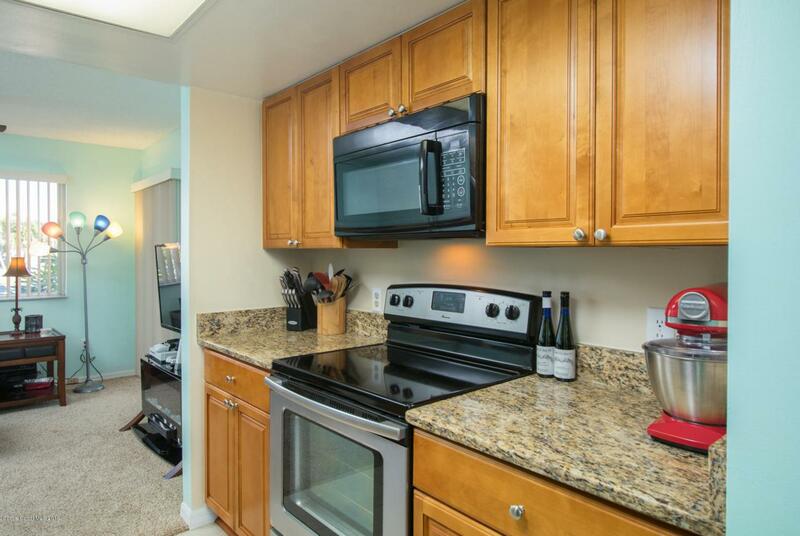 This 1-bedroom ground floor condo boasts an updated kitchen with SS/black appliances and granite counter-tops, updated bath with composite counters and tub/shower bath, and an airy & bright living area. 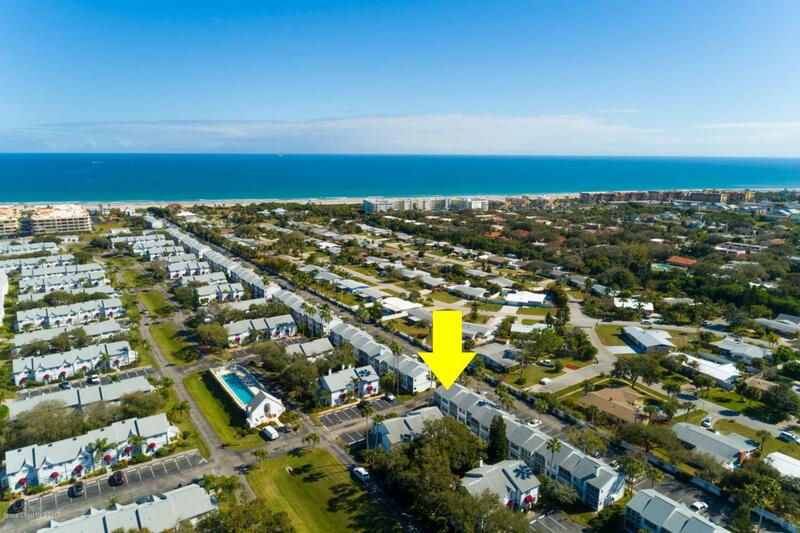 704 SF is plenty big for the single beach dweller! 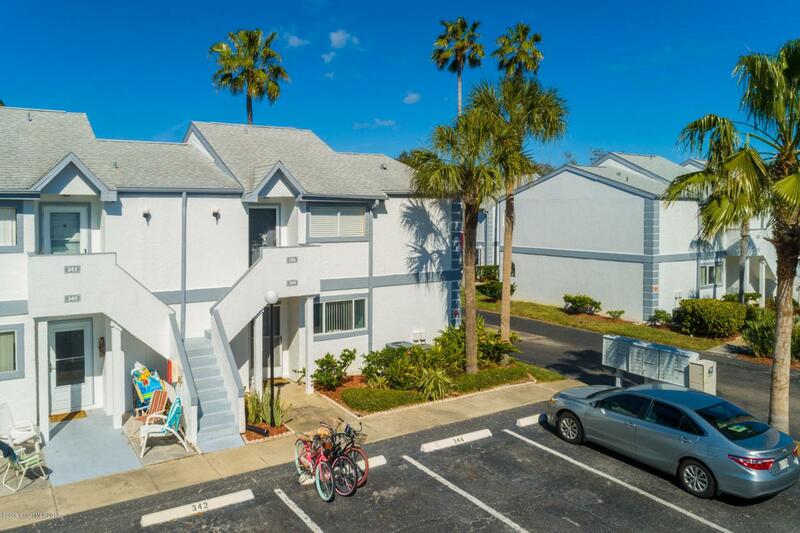 This condo complex boasts 3-pools (including a very nice lap pool & a HEATED family pool), tennis courts, racquetball court and an AMAZING world class fitness center. Relax in your chaise lounge on the observation deck with GREAT views: watch rocket launches, cruise ships passing thru the port and a PANORAMIC view of the beach. 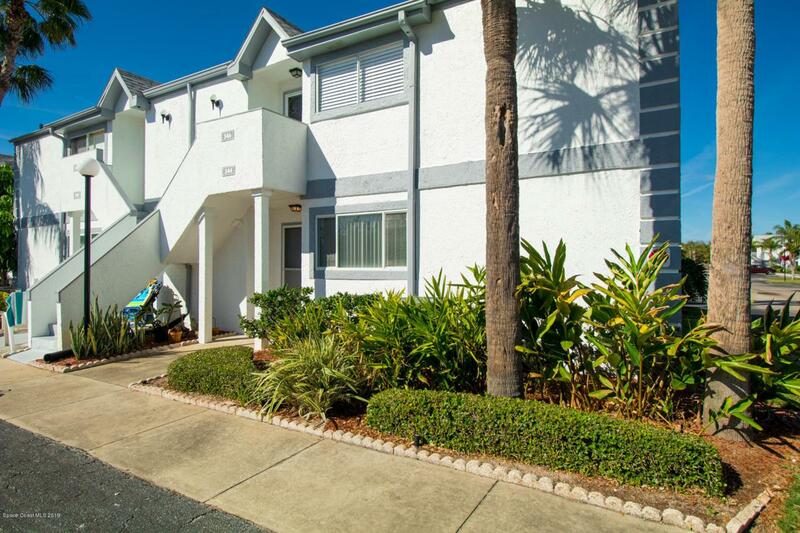 This community has several private, nicely landscaped paths to the BEACH! Cable and Internet are included in the low HOA duesFreshly painted exteriors, re-roofed and landscaped, you'll be proud to call this community home! For those not able to live year-round in this tropical paradise, the community allows one-month rentals.